It's that time of year again when you need to start shopping for swimsuits. 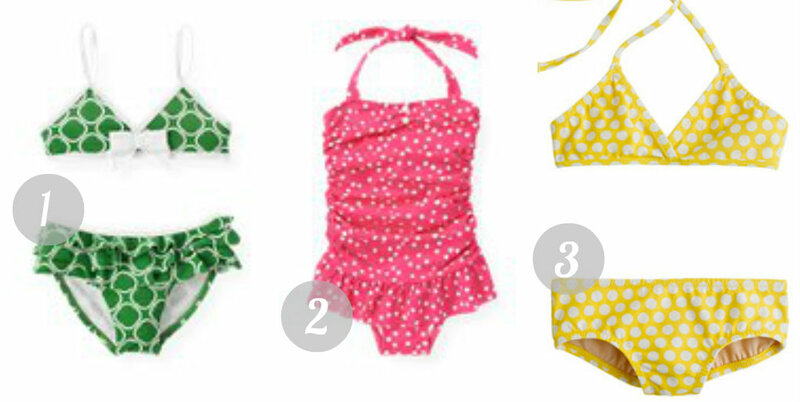 Here are some of my favorite swimsuits for children. I think I have a thing for polka dots and ruffles for little girls this year. Have you bought your kids swimsuits yet? If so where did you buy it?